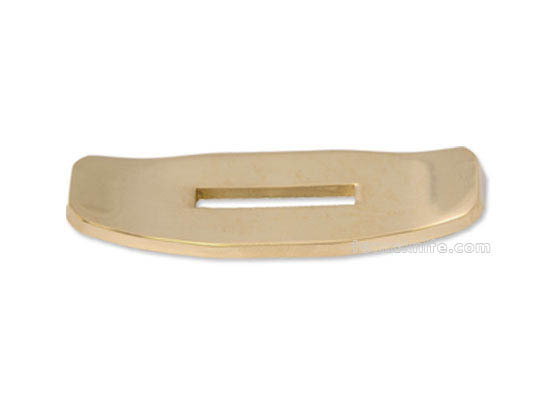 This?brass C pattern guard has two ends which turn toward the tip of the blade. It is 3-1/8" long, 5/32"?thick, and 15/16 " wide. The slot is 1-1/4" long and 3/16" wide. ?